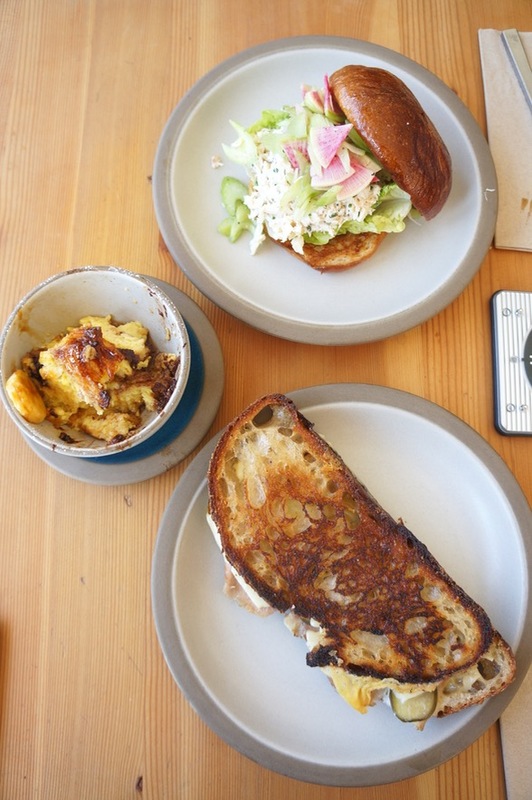 Even if you’ve never been to San Francisco, chances are, you’ve heard of Tartine Bakery. The popular bakery opened back in 2002 and has grown to become one of the quintessential bakeries in the city. 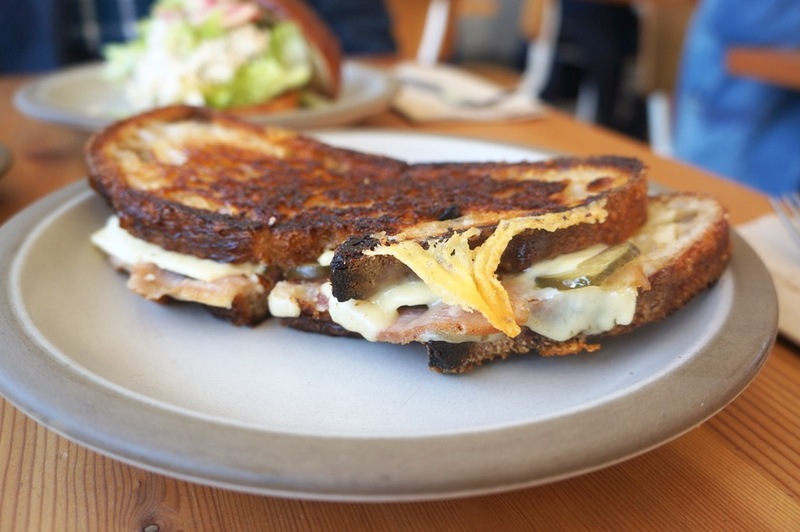 Having well outgrown their space, they opened Tartine Manufactory last year. Located in a warehouse in the Mission district, Tartine Manufactory occupies an enormous space. While a good chunk of the space is dedicated to baking bread (they now produce all of their bread out of this location), there’s a lot more to this location than the original. The space is absolutely stunning. 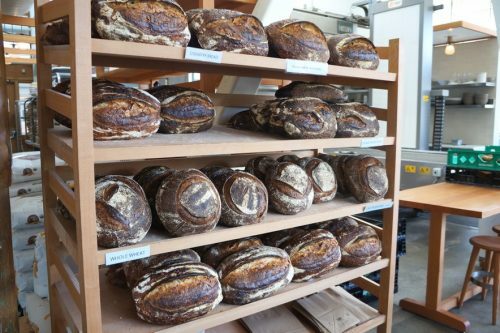 While the original bakery is dark and cramped, Tartine Manufactory is open, light and incredibly airy. I loved the industrial space which features cement floors, light wood furniture and hanging white lanterns. Tartine Manufactory is open 7 days a week for breakfast (until 11:30am), lunch (11:30am-3:30pm) and dinner (5:30pm to 10pm). During the day, seating is on a first-come, first-served basis, and for dinner, reservations are accepted. Breakfast and lunch service are cafeteria-style – order and pay at the cashier, grab a seat and they’ll bring your order over to you when it’s ready. We came by for lunch around 1pm on a Thursday and while it was busy, we were able to grab one of the few empty tables. Their lunch menu features a selection of flatbread sandwiches, warm sandwiches and salads. They also offer a selection of pastries which include danishes and teacakes which are generally available until 3pm according to their website. I ordered the Ham & Cheese Sandwich – with mustard & pickles ($14), their take on a grilled cheese sandwich. I loved the addition of the mustard and pickles which reminded me of a Cubano sandwich. It’s a comforting sandwich and definitely something I was craving at the time. However, it was toasted a bit too long as it came out burnt in some areas and the bread was crispier than I would’ve liked. Mike went with something on the opposite side of the spectrum, the Dungeness Crab Louie – aioli & slaw ($19). It’s a light sandwich option and won’t make you feel as lethargic as the ham & cheese. 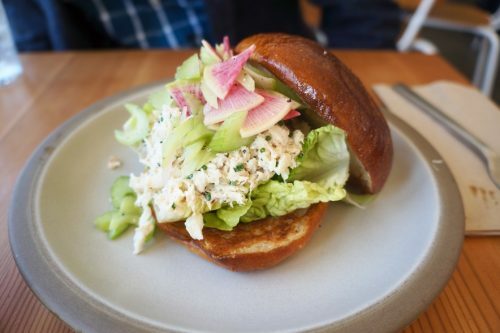 The sandwich had a nice filling-to-bread ratio and I liked that they didn’t overdo it on the mayo which allowed us to really taste the crab. I fully intended on only ordering the two sandwiches but while I was lining up to pay, the Chocolate Banana Bread Pudding caught my eye. While it’s called banana bread pudding, it isn’t actually made of banana bread. 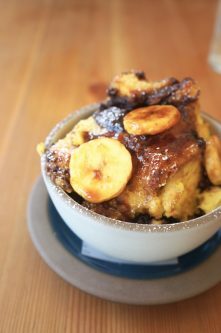 It’s bread pudding topped with caramelized bananas. The bread pudding was very custardy and had chocolate melted into the chunks of bread. I was surprised by how light it tasted since I normally think of bread pudding as a dense and heavy dessert. We both loved it! 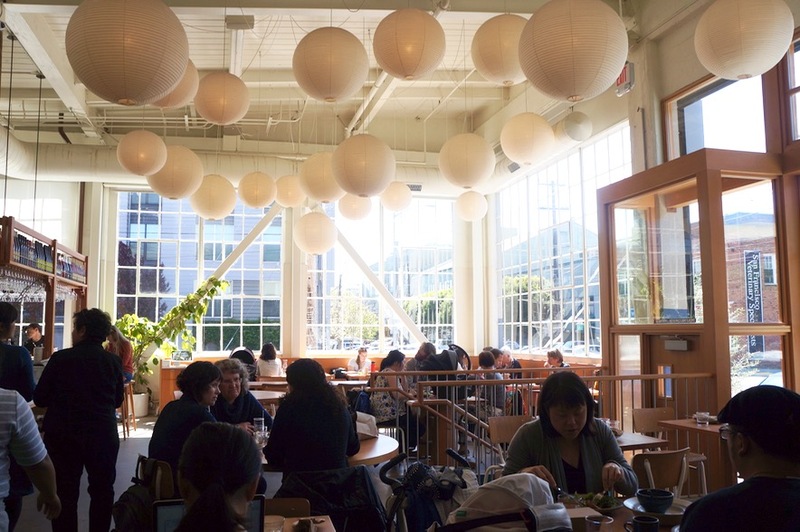 We had a nice lunch at Tartine Manufactory but if you’re looking for Tartine’s signatures like their morning buns and tarts, you’ll have to visit the original Tartine Bakery.